Maroon Creek runs between Crater Lake and Maroon Lake and offers great views of the Maroon Bells, two of Colorado's iconic 14,000' peaks. 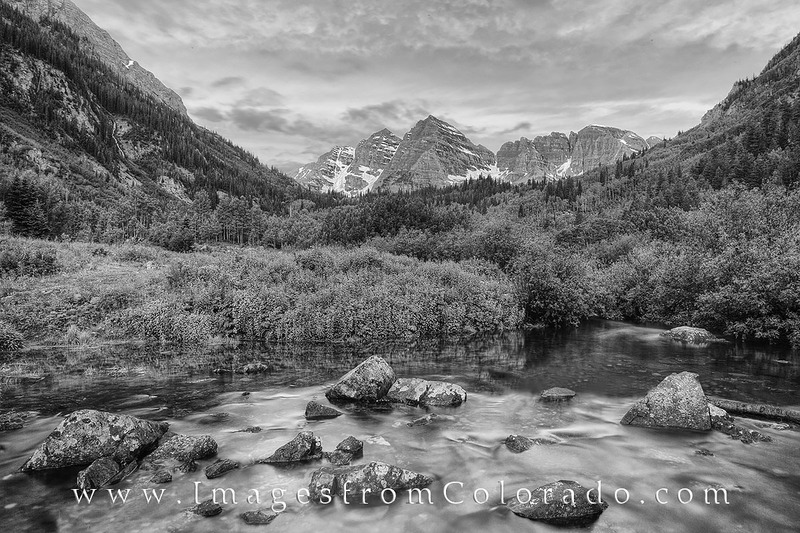 This black and white photograph was taken on a cool July morning as soft clouds drifted over the distant rocky mountain summits. Photo © copyright by Rob Greebon.